Do you know how to make homemade whipped cream? It’s surprisingly quick, easy, and very versatile! I’m not even sure of the first time I had real whipped cream. It was probably at a bakery or restaurant as we always used Cool Whip at home. I remember using Reddi-wip as a teenager as well as it really doesn’t get much easier than shaking a can and spraying, right? While I enjoy the taste of both Cool Whip and Reddi-wip, both contain ingredients and other stabilizers that help them have a longer shelf life and better consistency that aren’t really needed in my opinion. Don’t worry, I’m not about to go all food hippie on you guys and say totally down with processed foods. I could never fully give up my Golden Oreos, after all. But, these days I do try to eat more naturally and healthily. So, with my sweet tooth in hand, I of course needed to know how to make homemade whipped cream. Mr. Savvy is actually the first person to really introduce me to making homemade whipped cream several years ago. I recall being amazed at just how quick and easy it was to make even though I had been cooking and baking for a number of years by the time I met him. I’m not sure why I felt that way. I guess because it seemed so odd that a liquid could grow so quickly into something with a wonderfully creamy texture. I do know, however, that the first time he made whipped cream for me, I was sold and haven’t bought Cool Whip since save for a few recipes where Cool Whip really does perform best. Plus, these days in America your dinner guests will likely be quite impressed that you made homemade whipped cream instead of whipping out the can! The thing I really love about homemade whipped cream is that it can easily be flavored for whatever dessert or dish you want to use it with. Vanilla or amaretto is fabulous with fruit and berries, chocolate is great with black forest cake, mint with a hot fudge sundae, and so on. You can even make savory whipped creams with herbs, lemon, etc like I used on our Pumpkin Soup with Maple Spiced Whipped Cream . Today, I’m just featuring the basic vanilla version. If you’d like to try another flavor, just substitute the flavor you want for the vanilla, keeping in mind that some extracts or liquors may be stronger or weaker in flavor and sweetness. Just remember one of my biggest mottoes in the kitchen: You can add to, but you can’t take out! Topping desserts that can crack like cheesecake or pie with whipped cream is a great way to cover them up and your guests will think it’s there on purpose! You can also add more or less sugar (or none at all) depending on how sweet you like things without changing the final texture. 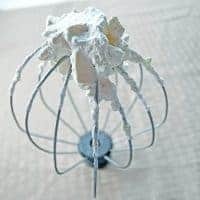 There are some tips and tricks to making whipped cream that you can find in my post about tips to make the perfect whipped cream. The biggie for today is to not over whip your cream. 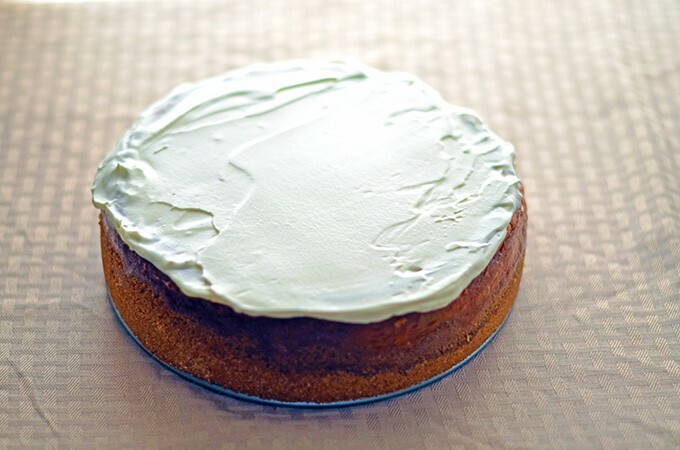 You want a silky smooth whipped cream, not one that has started turning into butter – which is still great for other things. This change can happen in around 30 seconds, so watch your whipped cream carefully. I like to use a (affiliate links) hand mixer or immersion blender because of this. 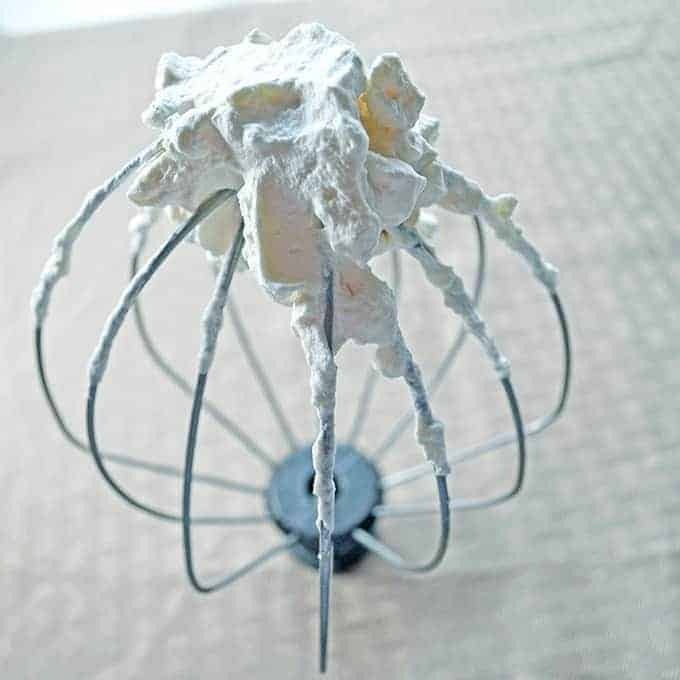 According to how your stand mixer is configured, they can often leave liquid cream in the bottom and are more powerful, so can they can over-whip faster. This homemade whipped cream recipe can also easily be doubled, or even tripled, etc. to however much you need. You can also store any leftovers in the fridge in a covered container for a few days. If it starts separating and getting liquidy, just whip it up with the mixer again. 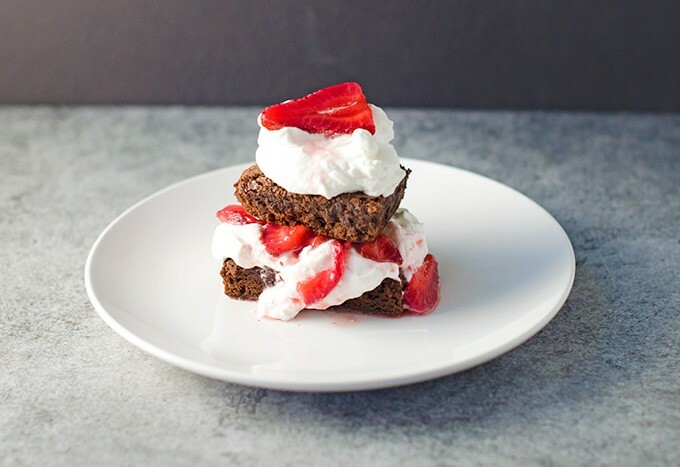 Whipped cream can also turn a few simple ingredients into a beautiful dessert. Recommended Equipment (contains affiliate links): I like to use a handmixer for better control and a stainless steel bowl because it can get really cold. I’ve had the Oxo bowls for over 10 years, so they really are worth the money. For the best flavor, also make sure you use a really good quality vanilla. You may never go to the container again once you see how tasty and easy homemade whipped cream is! Make sure cream is very cold. You never want to try to make whipped cream with cream that has been sitting out. You can also stick your bowl and beater or whisk into the freezer for a few minutes to have the cream whip up even faster. Pour cream into bowl. Using whisk, hand or stand mixer, or immersion blender, whisk ingredients together until it just starts to thicken. Add in sugar and vanilla. Continue whisking until desired consistency. I like soft peaks, or when you turn the whisk upside down with whipped cream on it, the peak falls over on itself versus not moving at all. Leftovers can be stored in a covered container in the refrigerator for up to 3 days. Whipped cream may lose its volume, but can be whipped back up again. Now that you know How to Make Homemade Whipped Cream, what are you going to use it for? 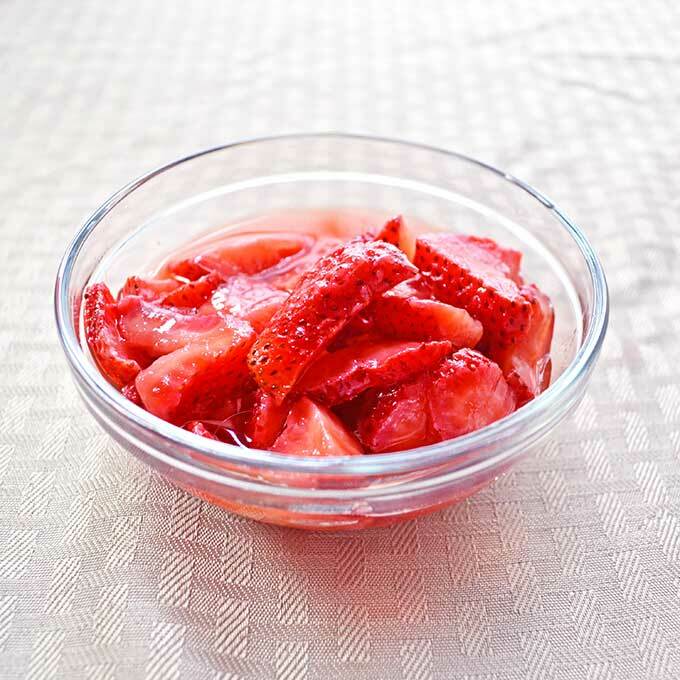 Homemade whipped cream goes great with macerated fruit for a nice light and cool warm weather dessert!